My apologies for being sidetracked from this popular series of posts, but I had some obligations I needed to fulfill with some of my other writing. However, with most other lists of this kind having been wrapped up for some time now—and Hollywood's own celebration of the films of 2009 approaching in the form of the Oscars—I am feeling some pressure to finish this survey of the best films of the decade. Once again, a reminder that I can't judge movies I haven't seen (which was entirely possible in 2006 since my first son had just been born, and we had just relocated to a different state). So if you feel a film you like was unjustly left out, it might be that I just never got to it. But definitely suggest it in the comments section below. 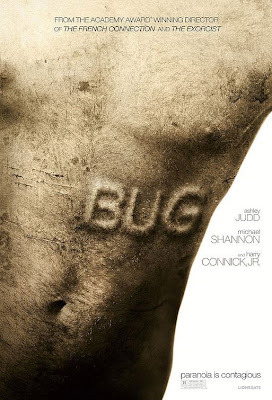 Bug, director William Friedkin - A return to form for Friedkin (The Exorcist), a director many had written off long ago. This chilling film, based on Tracy Letts' play, benefits greatly from Michael Shannon's breakout performance. Bug also recalls a little seen Nicolas Roeg film, Track 29 (1988), about a lonely woman bonding with a mysterious drifter who may be the son she gave up for adoption when she was a teenager. In this iteration, Ashley Judd does an outstanding job playing down her usually glamorous looks to play a devastated woman whose son disappeared years ago. Her fragile state of mind contributes to the bond forged between her and Shannon's unhinged entomophobic. 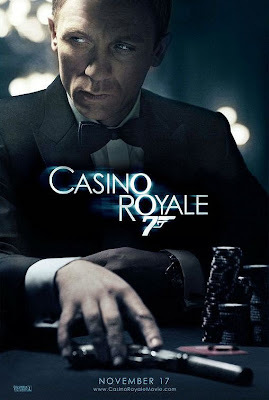 Casino Royale, dir. Martin Campbell - Sure, it would be simple to credit actor Daniel Craig for reinvigorating the stale, old character of superspy 007. He does bring a callous brutality which hasn't been seen in Bond since Sean Connery played the part nearly 50 years ago. But Campbell 's practically revelatory direction of the film goes further in breaking the formulaic rut this series was stuck in. Minimizing the silly gadgetry, bringing in a strong supporting cast (including Eva Green and Giancarlo Giannini), and making the normally impervious secret agent a thuggish rookie are a few things that help. The pivotal decision, however, was in filming a surprisingly faithful adaptation of Ian Fleming's first 007 story, a small-scale battle of wits with global implications set over a card table. 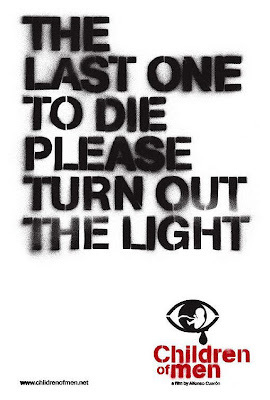 Children of Men, dir. Alfonso Cuarón - What are the chances such a deeply humanistic film would also turn out to be the most important science fiction film since perhaps, Blade Runner (1982)? Set in an Earth dying by fits and starts, the story of Theo Faron (Clive Owen) and his mission to transport a mother and her baby—the first born in over 18 years—is profound, emotionally resonant, and tightly paced. So one can be forgiven if Emmanuel Lubezki's fantastic camerawork is overlooked amidst the constant stream of action. There are at least three single-take shots—one shot of a climactic battle runs over 6 minutes—which will have you scratching your head and wondering, "How'd they do that?" The Departed, dir. Martin Scorsese - Neither the horrible film most of its detractors call it, nor the best film on Scorsese's resume—as its box office receipts and awards would suggest—this gritty cop thriller is just a well manufactured genre piece. Most times it is these boilerplate productions which reveal more of the director's strengths than the more complex fare. In this case, those virtues are his mastery over an ensemble cast (Damon, DiCaprio, Baldwin, Farmiga, Sheen, Wahlberg, Winstone, and the inimitable Jack Nicholson) and his ability to keep the story focused despite the potential for some serious sidetracking into the culture and customs of criminals and cops in the city of Boston. The Fountain, dir. Darren Aronofsky - Aronofsky's most underrated film is probably his best. This triptych stars Hugh Jackman and Rachel Weisz as past, present, and future paramours investigating the scientific and metaphysical aspects of the Tree of Life. The movie's startling imagery is on a par with the best that science fiction cinema has ever offered us. And the intertwining romance still resonates long after the memory of the film's spectacular dreamscape has faded. Inland Empire, dir. David Lynch - After spending an incredible amount of time deciphering Lost Highway (1997) and Mulholland Drive (successfully, I believe), the disappointment that emerges with the evaporation of all the mystery is not something I care to repeat with any Lynch movie. So with this one, I resign myself to deliberate head-scratching. Perhaps it's his most self-indulgent exercise since the ultimate student film, Eraserhead (a thesis film which he spent 5 years making); so indulgent, it often borders on the self-parodic (six-foot-tall bunnies, anyone?). But at least this one has one of the decade's greatest performances going for it, a dual one by Laura Dern as both an actress and the physical manifestation of the role she plays in the film-within-the film she stars in. Inside Man, dir. Spike Lee - This tense heist flick echoes Sidney Lumet's Dog Day Afternoon (1975). Not surprising, since Lee has previously acknowledged the veteran New York director's influence on his work. Like in the earlier film, the motive for the bank robbery is behind a surprising turn two-thirds of the way in. And like in that film, Lee is unafraid to inject social issues in an otherwise average thriller to keep the pot simmering. 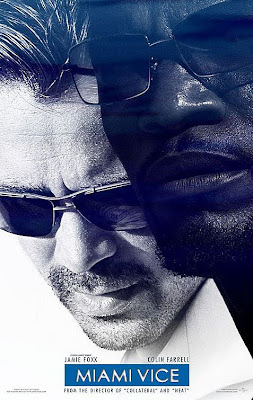 Clive Owen and Denzel Washington are effective antagonists. ... Scarface was a major influence on Mann's first incarnation of Vice, which echoed a lot of the pastel colors, art deco production design, and synthesized music from De Palma's film. Vice in turn played a big part in turning Miami into "...a bit of a carelessly painted-over dump...all the time using [the film's] color scheme to undermine the hollow allure of the city. "* Much of the revitalization and gentrification of South Beach began with and was coordinated by Vice's TV production crews looking to glamourize the area for location shooting. Ironically, Mann closes the circle with the movie's depiction of a city leading a double life, one which was unintendedly initiated by his vision of the city to begin with. *Quote taken from Jake's review. The Prestige, dir. Christopher Nolan - This is Jackman's second appearance this year in a young director's best film. So why can't he connect outside of fantasy-inflected efforts? Well, there is a certain hamminess inherent in his style that lends itself to larger-than-life roles like superheroes (X-Men Origins: Wolverine) or showmen (this film). Kenneth Branagh might want to reserve a space for him in his next Shakespeare adaptation. Anyway, Nolan's tricky film never cheats as it skillfully explores his favorite themes of duality and deception in a rivalry between two turn-of-the-century stage magicians. Bonus points for finagling an extended cameo from David Bowie. The Queen, dir. Stephen Frears - This sometimes humorous depiction of the British royals begins just before Tony Blair's election win and segues right into the week that Princess Diana died. Michael Sheen continues his portrayal of Blair begun in the first part of screenwriter Peter Morgan's triptych, The Deal , and to be concluded in HBO's upcoming The Special Relationship. 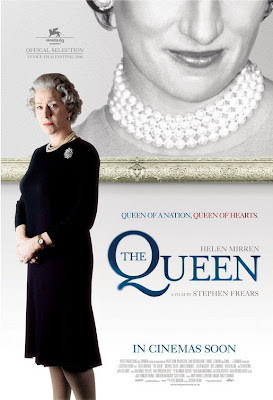 But the real star here is Helen Mirren as Queen Elizabeth. While almost all of the insular royals are shown here to be completely out of touch with their subjects' feelings over Di's passing, Mirren's Queen often reveals a "common touch," attributed to her time serving in uniform during WWII. Morgan's sarcasm towards the royals is leavened by Frears' rather sympathetic view towards them, best illustrated in a quietly beautiful scene where the Queen is confronted by a 14-point stag on the grounds of her estate. Her grief when she hears of the stag's death later on reveals how deeply she identified with him and her awareness that the monarchy is slowly being phased out of existence. 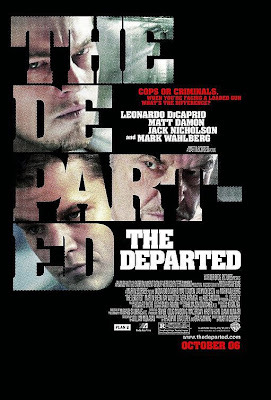 The Departed is a curious case for me, as even as a deep and avowed Scorsese fan I have to admit that it has deep structural flaws and so much ham you stock a deli with it, yet it's maybe the most instantly gratifying and "fun" film he's ever made. Besides, of the 21 narrative features he's made, I've at least greatly admired all but two (Boxcar Bertha and The Color of Money), and maybe that's fanboyism but there is always something to latch onto and love in his films, even if I'd place The Departed near the bottom. I need to see The Fountain again before I place it. I'd almost certainly put it on my list, but one view simply isn't enough. A nice post. Bug is a great movie. 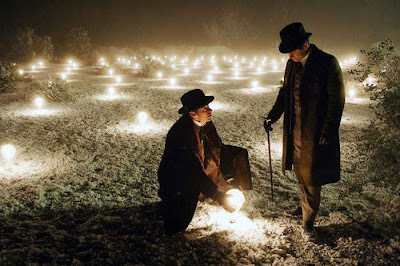 As for The Prestige, I enjoyed aspects of it, but I much preferred The Illusionist - especially for its art direction, cinematography, and atmospheric use of natural lighting. The Fountain would be very high on my list that year. And 2006 is an interesting in that Children of Men, Miami Vice and The Prestige are all more impressive to me on return viewings after being initially underwhelmed or downright indifferent. Very fine list here Tony! 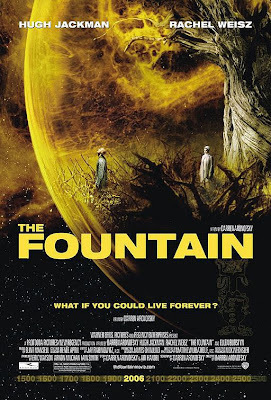 My own #1 film of that year os Aronofsky's THE FOUNTAIN, which of course you (and Jason) are also huge fans of. Clint Mansell's score is one of the most piercingly beautiful in many years, and it establishes the underpinning for this philosophical consideration of mortality and eternal life, with some searing Buddhist imagery as part of this stunning visual tapestry. For me it's one of the two or three greatest films of the entire decade. 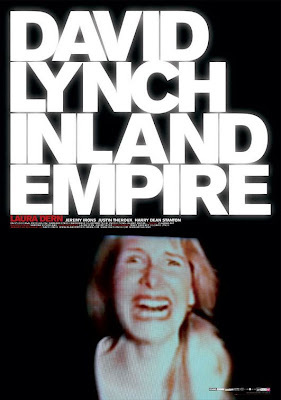 Two of your other choices also made my own list, the visually spectacular futuristic piece CHILDREN OF MEN and David Lynch's disturbing surrealist work, INLAND EMPIRE, which contains at its center the most harrowing monologue by a brilliant Laura Dern as we've seen in contemporary cinema. THE PRESTIGE has grown on me, and THE DEPARTED is very close to my Top 10 and I like THE QUEEN a lot. I am admittedly not a fan (but fully respect and inderstand why they are here) of MIAMI VICE, CASINO ROYALE and INSIDE MAN. Of the ommisions, I would only truly lament the absence of Eastwood's LETTER FROM IWO JIMA (his best film for me) Von Donnarsmark's THE LIVES OF OTHERS, Carney's ONCE, W's SYNDROMES AND A CENTURYand Meadows's THIS IN ENGLAND. But hey everybody has their favorites and your list is superb by any standard of taste or measurement. Oh, Syndromes was '06? I had it pegged as '07. That's on my list too, then, in the top five. Kudos for including MIAMI VICE - a film that too many people enjoy kicking around because it wasn't at all what they thought it would be, and to them that equals a crap film. 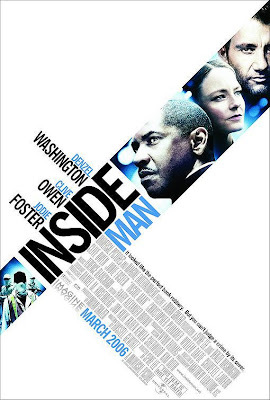 Likewise loving the inclusion of INSIDE MAN and CASINO ROYALE, both proving that a mainstream studio film can still have intelligent writing and make money. Well, you've found some of the films I missed that year: HALF NELSON, THE LIVES OF OTHERS, LETTERS FROM IWO JIMA, TRISTAM SHANDY, and VOLVER. PAN'S LABYRINTH fell just short of making it onto the list for me. As for THE DEPARTED, I feel almost exactly the same about it as you. It's simply a fun crime thriller, a genre that is rarely done competently in recent years. I like THE ILLUSIONIST, but its conclusion annoys me a bit. I don't like movies that underestimate their audience, and I feel this one did in overexplaining its tricks at the end. I much prefer how subtly THE PRESTIGE handles the same type of exposition. However, you may be right to say THE ILLUSIONIST is superior as far as the technical aspects you mention. THE FOUNTAIN was completely underestimated upon its initial release. 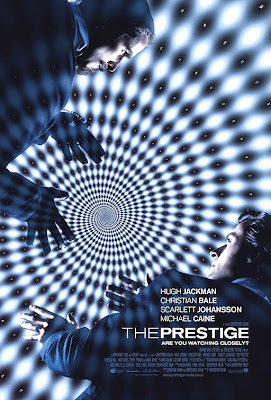 And you're right to say MIAMI VICE and THE PRESTIGE are much more impressive after revisiting them once or twice. But I'm curious as to why CHILDREN OF MEN didn't immediately grab you. I was moved by it the very first time I saw it. If THE FOUNTAIN has a flaw, it's that it feels much too rushed. I felt like a broader canvas, a bit longer running time allowing the film to breathe somewhat would have helped. In addition to the films I told Jake I missed above, I also missed ONCE, SYNDROMES AND A CENTURY, and THIS IS ENGLAND. My viewing habits got back to normal when I started this blog in early 2008. Tony: I had hoped to get to it before the end of 2009, which shows you how behind I am, but I do want to do a piece on my reevaluation of Children of Men. At this point, it probably won't come until April, after the McQueen Blog-a-thon and other projects. But it's on the list, for sure. You've done it again Tony! It's nice to know there was at least one other person out there who also loved Bug and thought it was swept under the mat far too easily by many critics and viewers alike. I guess people just can't deal with a film that portrays insanity in such personal quaters. Good picks also with Miami Vice. I also agree with you about the Prestige over the Illusionist (which, as you said, went against the ultimate rule of magic by revealing it's secrets. I also didn't like how the magic in it did not resemble any sort of possible magic). Look at the Prestige again as an exploration of Darwinian theory exercised within a performantive medium in which evolution does not exist. Couple this with Nolan's obsession with film noir anti-heroes and you've got a great movie that only gets deeper with every viewing.